including laser systems, laser components, laser service, and laser repairs/refurbishing. TJS fully acquires SPI Lasers' Lamp Pumped Solid State Laser “LPSS” Service and Support on March 1, 2017. TJS is the largest integrator of ProLase7 for Windows, powerful user friendly industrial laser software programs designed for use with most laser marking systems including Nd:YAG, Fiber and CO2. TJS offers the largest assortment of different lamp shapes to meet the diverse product needs within the warning beacon market. TJS carries a full line of laser parts and laser components. TJS provides a very cost effective, knowledgeable alternative to the laser module OEM. We provide unbiased, objective feedback and have only one person's best interests in mind - yours. Our goal is to give you the very best repair and service advice possible without bias or pressure from an OEM. Our service engineers are former factory laser engineers with many years of experience. As the largest U.S. Company providing direct replacement components, service and repairs for many different lasers and companies, our customers get the best possible laser component pricing and service rates. Our service engineers are factory trained and available for on-site service calls, training and PM Agreements. Our in house repair department performs calibration and repair services for H.V. lamp power supplies, RF-Drivers, laser modules, pc boards and much more. 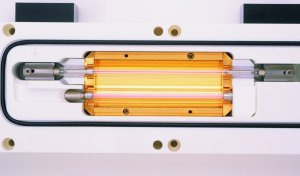 There are many additional items TJS can offer for these lasers such as laser head components, gold cavities, di-filters, flow tubes, particle filters,mirrors, q-switches, lamp power supplies, and rf-drivers. Contact the Laser Module Repair Experts at TJS today! There are many additional items TJS can offer for these lasers such as laser head components, gold cavities, di-filters, flow tubes, particle filters,mirrors, q-switches, lamp power supplies, rf-drivers, repairs and much more. "You as the customer are our first concern. Our goal is to provide you with the highest quality replacement components available. Combined with our technical sales and service, we are confident you will not find a more responsive team anywhere in the laser industry." © 2019 TJS Lasers, Inc. | All Rights Reserved.